One thing’s for sure in these challenging economic times: the world won’t beat a path to the doorway of your business unless you get out there and vigorously promote your brand. And there’s no better way to do this locally or nationally than to apply branding to your company cars, vans and trucks with vehicle signage. And unlike a static billboard, your branding goes wherever your vehicle does – 365 days a year. What about cost effectiveness? Of course you can expect a number of year’s life from high quality vehicle signage. Research from the USA has shown that truck-side advertising can produce up to 60,000 impressions daily. Although variables like population densities and hours per day a vehicle is on the road would impact on these figures, it’s clear that advertising dollars spent on vehicle graphics literally go further and keep working for longer. Professionally designed vehicle signage will help create a favourable impression of your company, boost your brand’s exposure and – if your company is small – make it look like you punch above your weight. How often have you seen vehicle signage that had the wow factor? If the answer is ‘quite often’, that’s because the standard in this country is exceptionally high. One of the most acclaimed vehicle signwriting companies in New Zealand is the Signwise Group of Companies, based in Auckland, Wellington and Christchurch, which all have a string of NZSDA awards to their names. Signwise will conceptualise a new vehicle signage design or transform existing branding into stunning artwork that can be rolled out across your entire fleet. 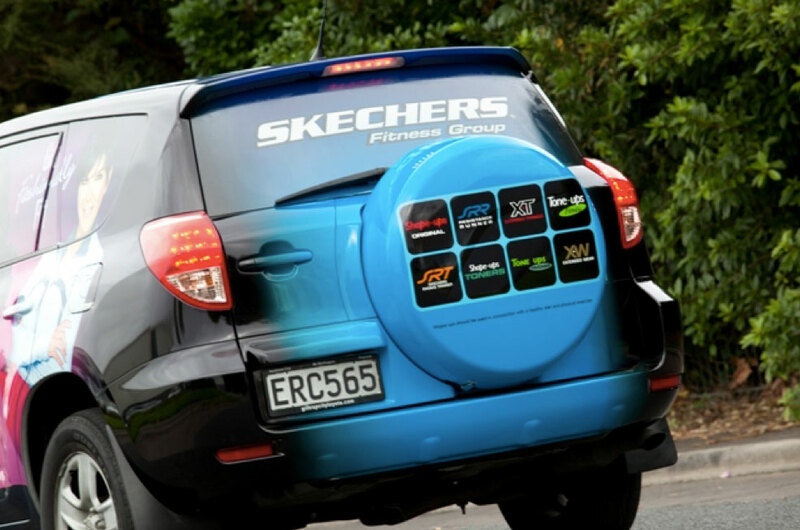 Using cutting-edge technology and high quality materials, they will plan, design and execute your fleet branding project anywhere in New Zealand whether your fleet has 1 vehicle or 1000! Are your vehicles leased? Signwise vehicle graphics are fully removable and replaceable. Incidentally, these vehicle graphics act as a protector against road chips, tar and weathering, so at resale time, you can revert to your vehicle’s original condition and colour. Vehicle signage has come a long way since the days of a logo painted on the driver’s door.